The Ukrainian startup has won in the international competition and will work with the OTP Bank in Central and Eastern Europe. These are the results of working with 1991 Open Data Incubator, the National Bank of Ukraine and MasterCard. inCust, the company, founded by Ukrainians, has won in the final stage of the competition in Bootscamp OTP accelerator in Budapest. The team has proven its ability to change the banking system and will do this together with the leading bank in the Eastern Europe, the OTP Group. inCust has received the invitation to participate and implement its solution, the customer friendship system, in the OTP Bank network. At the first stage, the project will be launched in Hungary, followed by other Eastern Europe countries, where the OTP Bank and its subsidiaries perform their operations. 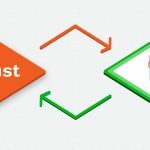 The assistance in implementation and adaptation of the products will be provided by OTP Bank startup accelerator, the right for which inCust has received during the competition. Nestholma, the global FinTech-accelerator, is the partner in the acceleration program. The customer friendship system itself works successfully in Ukraine and neighbor countries. It lets businesses attract and retain customers, stay in contact with them, in this way increasing the loyalty of the customers and increasing the money flow from them. Also, one can implement cardless methods of paying for goods and services, using the system. It is worth saying that the multistage competition was carried all around the world among FinTech companies and startups. The first stage was getting recommendations from the local partners of the accelerator. When applying, inCust was participating and continues to do so, in the Fintech Master incubation program. This program is the first Ukrainian incubation project for FinTech companies, carried jointly by the National Bank of Ukraine, 1991 Open Data Incubator and Mastercard payment system. 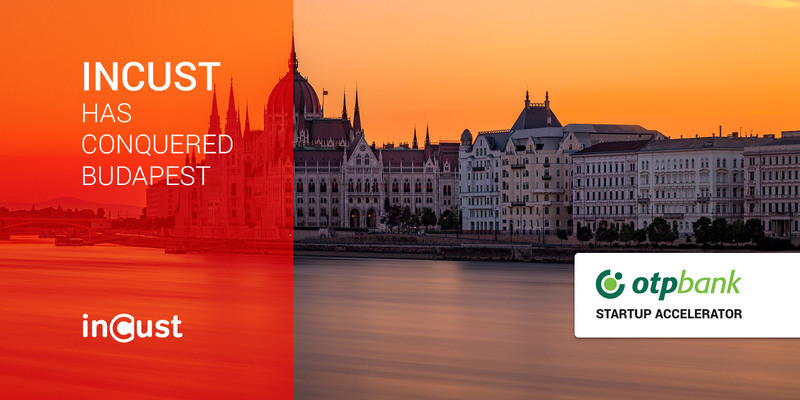 The won stage has allowed the inCust, among 29 chosen teams, to visit Budapest and work with OTP Bank representatives for several days on the concept of joint solutions. And only seven of the companies that visited the event were chosen for taking part in the acceleration program. inCust has become one of them and the only team from Ukraine. Maxim Ronshin, the managing partner of inCust, has noted: “We are proud that Ukrainian solutions get attention not only on Ukrainian and neighbor countries’ markets but also are innovative enough to change the world. This was made possible thanks to our clients, that choose and value our product, and also thanks to our incubator partners, the NBU, 1991 and MasterCard. With the help of the friendly environment that we have in the Fintech Master program, we were able to focus better on the banks’ needs and offer them the new vision of building the ecosystem that will join the bank, businesses, and customers”. The new partnership is not the first one between inCust and the key players on the vertical markets. Last year, inCust concluded the agreement with Kyivstar, the leading mobile operator in Ukraine, about the joint launch of the service in Ukraine. This partnership has shown the trust that the experienced market actors have to the product: Kyivstar has invested the power of its brand in the development of the customer friendship system, which is offered in Ukraine under “inCust by Kyivstar” name, and is presented, among others placed, on incust.kyivstar.ua website. By the way, to conclude this agreement, the inCust company was chosen and has passed acceleration in VDNGTech, the first Ukrainian telecom accelerator. The main win, as stated by the inCust founders, is that Ukrainian businesses trust inCust to manage the most valuable asset – their relations with customers. Businesses start using the inCust platform in minutes on incust.kyivstar.ua site without spending resources on extra hardware and software and get their own cardless loyalty program, the possibility to communicate with customers directly, and the modern payment methods, which do not require card reader devices.